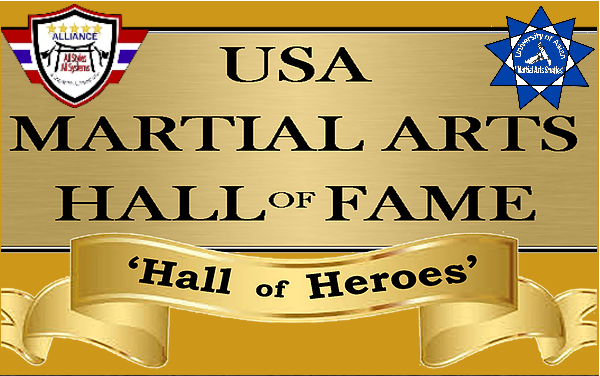 USAMAHOF & The Alliance – Martial Arts Networking at Its Best! The Alliance is a Totally Non-Political Organization. A UNITY WITHIN ALL MARTIAL ARTS! ALL STYLES! ALL AGES! ALL RANKS! ALL SYSTEMS! We are a Fraternal Order of Brotherhood and Sisterhood of unity within all Styles and Systems. A network that includes everyone! All Schools…all members. Register today! Our school will benefit students in many areas on a professional level, setting those apart from the others. Our mission is to make Martial Artists successful not only in the Martial Arts but in all aspects of your life and create a practice that you take with you anywhere you go. CURRENTLY IN THE PROCESS OF ACCREDITATION in the USA.